We are a leading Manufacturer of socket head screws, hex head bolts and socket head cap screw from Mumbai, India. To cope up with the diverse requirements of our valued clients, we are engrossed to offer Socket Head Screws. The offered screws are manufactured by utilizing the best quality raw materials with the help of progressive techniques. These screws are extensively used in the joining and fixing of various machines' parts in an efficient manner. Additionally, the provided screws can be availed from us in bulk at economical rates within committed time frame. 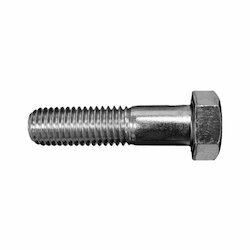 We are considered as one of the acclaimed organizations of a wide assortment of Hex Head Bolts that are well known for their durable finish standards. With the utilization of superior quality raw materials and contemporary techniques, these bolts are elegantly manufactured under the supervision of our dexterous professionals. 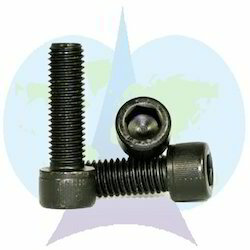 The provided bolts are ideal to fix in several machines and components. Besides, these bolts can be purchased from us at marginal rates. The price range vary from Rs 2 to Rs 1000 per packet. Prices depends upon Size, Material, Grade and Quantity . Being a client-centric organization, we are involved in offering a broad assortment of Socket Head Cap Screw. 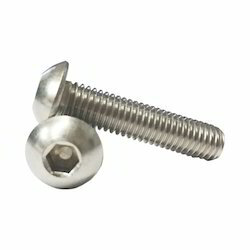 The provided screw is manufactured by our dedicated professionals using optimum grade raw materials with the help of pioneering techniques under the stern observation of our deft professionals. This screw is ideal to use in steel construction, automobiles, machines, etc. to fasten the components together. Further, the offered screw can be easily purchased from us at industry leading prices. Looking for Socket Head Screws ?